Teeth Whitening is a teeth-bleaching procedure performed in our centre. Dental veneers are thin shells of porcelain or composite resin that are custom made. Fixed appliances like braces are attached to the teeth by metal bands or special cement. A dental implant is an artificial tooth root that is placed into your jaw to hold a tooth. Wisdom teeth are the third and last molars on each side of the upper and lower jaws. Established in 2014, Beverly Wilshire Dental stands as the trusted and innovative leading centre for dentistry. Beverly Wilshire brand continues to be synonymous with medical beauty because of our highly skilled specialists, world class technologies, facilities and service. We help make dental visits easy with our innovative services and commitment to your smile. Personalised Service and Customized Treatments Towards the Desired Outcome. Selected dental clinic in Kuala Lumpur must be licensed by the Ministry of Health Malaysia. This will ensure all dental services provided and equipment used are following stringent standards and regulations. And if you are a foreigner seeking dental tourism in Malaysia, it is important for the dental clinic to be registered with Malaysia Healthcare Travel Council (MHTC). With proper government accreditation, this provides reassurance on the quality of dental services provided by your dental clinic. Seeking for dental treatment in Kuala Lumpur, get your professional dental quotation and let Beverly Wilshire Dental Clinic Kuala Lumpur help you smile with confidence always. Look for details of the qualifications of the dentists. A good dental facility should have a team of expertly trained dentists registered with Malaysian Dental Council. They should have the necessary medical training and specialization in dentistry. 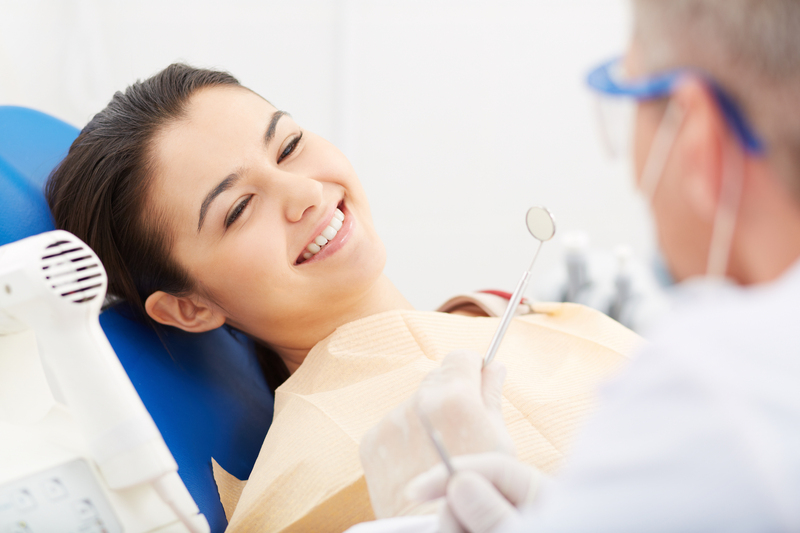 With a team of expert dental practitioners, you will be assured of getting excellent dental services. Common procedures such Oral Check-up, Scaling and Polishing, Fillings, Teeth Whitening and Basic Extraction are commonly done by a general dentist. However, complex treatments such as Wisdom Tooth Extractions, Braces, Veneers, Crowns/ Bridges, Root Canal Therapy, Dentures, Retainers or Implants must be done experienced skilled dentist or dental specialist. Before selecting a given dentist or dental clinic in Kuala Lumpur, you would be wise to get estimates. The cost of dental services in Kuala Lumpur are very competitive in nature due to government regulation to ensure affordable dental care for all. However, if you do find a dental provider having huge price difference, it is the client’s responsibility to find out more about the dental materials used, doctor’s qualification, clinic background and others to ensure you receive affordable treatment without comprising on the quality of dental treatment received. Price alone should never be the deciding factor in choosing a dentist. Poor quality workmanship will be more expensive in the long run. Get to know the treatment details of the dental promotions, dental offers or dental deals before committing to any dental treatments. There may be times that you might suffer from more than one dental issue. Make sure that the dental clinic selected is a one-stop shop that provides a comprehensive range of dental treatment procedures including root canal treatments, dental titanium implants, bone augmentation, ceramic crowns, bridgework, Invisalign® technology, porcelain veneer, Damon clear braces, impacted tooth removal, CT 3D scan analysis. Dental emergency care such as Oral trauma and damaged restorations can strike at any time. Therefore, it’s important to know what sort of recourse your dentist or dental practice offers in the case of such dental emergencies. When choosing a dental clinic, it is advisable to go for one that is well-equipped with the latest technology and tools. This will ensure that your oral health is taken care of using advanced technological techniques and equipment. A dentist who is highly experienced but is not using the advance dental technology or equipment will not be able to provide you the best treatment. It is also crucial to have all necessary state of the art equipment such as CBCT- 3D Imaging equipment to diagnose and propose a customized dental treatment plan towards the desired outcome. Previous customer reviews available online can also be used a guide to understand how others received and experienced dental treatment at the chosen dental clinic in Kuala Lumpur. Going through what other people have to say about a particular dentist or dental clinic might provide you with a hint about the dentist’s skills, office environment, ease of scheduling appointments, customer care relations and waiting times. Well claimed independent third-party awards or accreditation will also show how much the dental clinic strives for dental excellence. Smooth communications between the clinic staffs, dentist and the clients are crucial in ensuring the clients dental concerns are well understood, expectations & risk involved are cleared and your attending dentist is able to provide respectable explanation for the dental services provided. When you leave the dental office, you should feel well-informed and comfortable about your treatment options. Choose a dentist who will willingly take time to listen to your concerns, whom you are comfortable talking to, who considers your treatment preferences and will respect any decisions you make during the process. All dental clinics must adhere to the rules and regulations set forth by Ministry of Health Malaysia such as sterilization and disinfecting techniques, emergency action plan, grievance mechanism, personal data protection and others. A professional dental clinic with spacious waiting area, complimentary valet parking, massage chairs, relaxing sound system and other services suggest that the clinic made long-term investments and wants their clients to be feel comfortable and satisfied not only with the dental service but the surrounding environment. Good location. Flexible appointments. Service with a smile! As someone very scared of dentists, I initially went here for my children but also ended up coming here myself as they are very calming, patient and have even managed to fit me in when I didn’t have an appointment. Great team and excellent customer service, I did my teeth whitening using Zoom technology. Very happy with the results and the price was surprisingly very affordable. Keep up the good work guys. I had a perfect uncomplicated treatment. After another dentist told me that I have to get 6 holes fixed and at least one root treatment done I was looking for another opinion and it was the best decision I've ever made! The best dentist in KL! I have a lot of anxiety going to the dentist....but coming here is easy. The staff is so friendly and the dentist is so wonderful! One of the best dental experience I had compared to San Francisco and Los Angeles. My dentist Dr Yoganjali was very friendly, professional and gentle with her work. Helped me relax. Thank you team! Great skill. I had serious teeth alignment issue and my doctor managed to fix it nicely! Find more about our recent offers now! When should your child’s FIRST dental visit be? You might be SURPRISED!